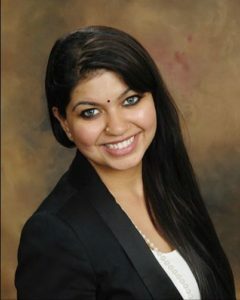 Dr. Arti R. Sarma is a Psychologist at the Phoenix Veteran’s Affairs (VA) Hospital. She received her doctorate in Counseling Psychology from Arizona State University (ASU) in 2014 and completed her pre-doctoral internship and post-doctoral residency at ASU Counseling Services. For nearly a decade, Dr. Sarma committed her research, teaching, and clinical work to helping young adults at educational facilities such as ASU and Phoenix Job Corps improve resilience and overcome barriers to academic and professional success. In her current role at the Phoenix VA, Dr. Sarma has been able to blend her passion for multicultural issues, resilience, trauma, and well-being to serve a culturally rich and diverse population. As chair of the Arizona Psychological Association’s (AzPA) Membership Committee, Dr. Sarma has developed and implemented initiatives focused on enhancing multicultural and advocacy competencies among mental health professionals. She has a particular interest in bolstering support for minority and international students through community engagement, mentorship, and collaboration. Dr. Sarma served as a research assistant on multiple National Science Foundation (NSF) grants, including the CareerWISE intervention project that focuses on providing a 24-hour online resource to increase academic persistence and resilience among women in science, technology, engineering and mathematics (STEM) fields. To learn more about the CareerWISE project, visit www.careerwise.asu.edu.